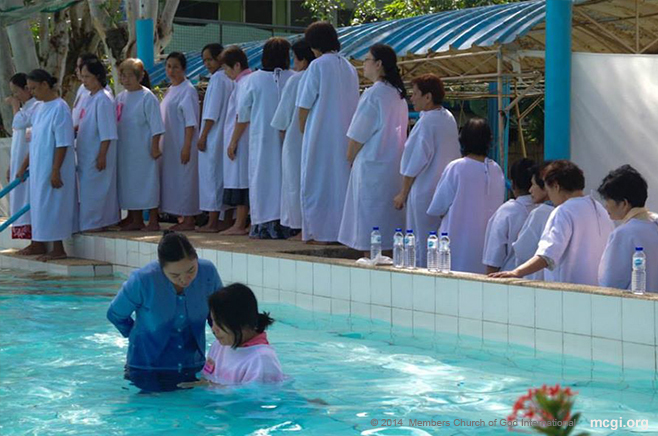 Read short testimonials of faith from some of MCGI’s youngest brethren baptized on January 22, 2016 at the Ang Dating Daan Convention Center in Apalit, Pampanga. I heard Bro. Eli’s words and I got encouraged by them. The words come from God; They are words of righteousness. I started listening in January. Nobody invited me I just did that on my own. My brother-in-law is actually already a member here. So I asked him where the local was. I felt that my spirit was relieved. I am thankful to them because they were able to help many so you are seeking answers to their questions. To be able to return unto the Lord and serve him. The first gathering that I attended was a Thanksgiving to God service. I was also able to attend the Thanksgiving of the Body or the Thanksgiving of the Whole Congregation for three days. I just saw Bro. Eli before on television, but I haven’t heard his teachings before. But then I got indoctrinated, and the doctrines felt good to the heart. I learned how to pray properly and how to live accordingly with non-brethren and with brethren. It feels light inside. When I got baptized, I felt that all my sins that I have committed before were gone. I see them preach, and for me they are very well and gifted in doing so. Thanks be to God that I am here today as a sister in faith. Thanks be to God. I have long observed different religions on television, but it is only with Bro. Eli that I have found the truth in the Bible, and not just made-up fables or stories. I’ve been listening for nine years now actually. Whenever I come home, before going to bed I watch it. There is no other good program to watch but this. Of course, you want to watch programs with value, but with others I just end up quickly switching the channels. Oh, the feeling is really different as compared to when I was in another religion. You will really feel a great deal of change in you here. You can think of many benefits of it. Firstly, you felt relieved. Then, your understanding broadened and that’s the best thing. Actually there’s no feeling that you will feel in yourself but happiness because you did it on your own volition; it feels light. It’s not like you were just forced by circumstances or that you were pushed to do this by a friend who brought you here for example. I hope that their lives will be longer that many more souls will be saved. Thanks be to God. I’ve long been searching for the truth or someone sent by God who will explain the contents of the Bible. Perhaps I will never see the same kind of preaching that Bro. Eli preaches, actually even way back then. I kind of listening to Bro. Eli on television in 2011. I even watched then the INC. Actually I even joined a religious group that is against Bro. Eli in the Year 2000. When this fake preacher’s prophecy before didn’t come true, I said that it’s not the true church. I started then searching for the true one. Perhaps what I really just want to happen is to belong, and to not be lost anymore. I may not understand everything completely now but I am hopeful that as time goes by, I will. I hope that his [Bro. Eli] life will be longer because he is already way past the prime of his life. We all know that people get weaker as we age but despite that I hope that God will give him more courage and a longer life that he may be able to reach many more people. Also, I hope that he will often take a break at times because we all need rest. That’s all. I have really been investigating religions for a long time now. I listen to the words of God that they preach and see which one is right, what their basis is. So one day, I went to my brother in law and invited him for us to be indoctrinated. I told him that all my doubts, all the things I know to be wrong in our religions, I have learned because of all the verses in the Bible [that I heard from Bro. Eli]. Oh it feels so relieving inside. Actually even when I was just walking towards the baptistery, I was already asking the Lord for forgiveness and was thanking Him. Then after I got immersed, I felt a different feeling. For Bro. Eli, I think that she should stay there and may the Lord keep him there because things here in the Philippines will not bode well for him; he’ll be safer there. May he be able to fulfill the duty that the Lord has given him there. I joined because this is the only religion wherein everything in the Bible is being read. Many religions nowadays just read one verse repeatedly, and that would be their basis already. I said to myself the Bible is very thick and yet I only read a small part of it. It’s like in Catholicism wherein just about three or four verses are being read and then the priest will then make jokes. In 2010, my daughter died of leukemia. In 2003, I lost my job; in 2000 … there were just so many problems; our small business also shot in flames. However, I’m thankful that despite not having a stable job that you can call, but my eldest is going to graduate in college. I feel happy whenever Bro. Eli says, “I will not forsake thee.” I figured, perhaps what Bro. Eli is saying is true because not once did we falter. My child underwent chemotherapy, 12,000 pesos per session, and yet we were able to buy medicines. Our relatives helped, my siblings, and from other people as well. So I said, Thanks be to God because He doesn’t forsake us despite me having faced hardships. In other words, through and through, it’s still Him that we can count on. There are times that we are able to eat delicious food, and are able to buy the things we need. We also have good clothing. Our electricity doesn’t get cut, and we even have internet at home. That’s why I believe that no matter how much money comes your way, if you don’t know how to spend it properly, you’ll have nothing in the end. Our livelihood is just small, but we get through it all with the help also of my siblings. I can’t remember when I was still in college then when I saw in a newspaper that there was a case filed against him by the Iglesia ni Cristo. I saw that when I was in Sta. Cruz; I think it was Abante. I said, “Who is that Bro. Eliseo Soriano, and why are the Iglesia ni Cristo so angry with him that they want him jailed?” They said all sorts of things against him, like there’s money laundering or treasure hunting or whatever. That’s the reason why I developed an interest in getting to know about him, and what he was doing with his life. I learned that he’s a leader here. I also started to watch “The Old Path” and the show of the INC. But even in our place, I already knew about the Iglesia ni Cristo. I hope I’m wrong, but they have a reputation of being murderers. Like in our barangay, they try to side with those running for public office, those who are sure to win. But what does politics have to do with religion? Is it not Christ who said what is Caesar’s is Caesars, and what is the Father is the Father’s? You cannot incorporate those two. But with them — it is — because it’s all about money; they will not vote for you if you will not give them money. He’s very good when it comes to the Bible. Even when I was just in elementary, I already read the Bible. Out of all the books that I have read, that is what really amazed me. Imagine, you’ll discover there how the civilization of man began. The personages that you would just hear on TV, you can read it there, like Noah and his ark, like Adam and Eve. That’s history, the history of the world! It’s like a manual. So when I heard him, I said it’s good to listen to him, and I often did. Sometimes, there would be debates, and that’s where I see the more how good Bro. Eli is. He can rebut. He won’t be silent in the sense that he doesn’t know what to say. He doesn’t run out of answers. “This man is so good with the Bible,” I said. Whenever someone asks him, he just gives the Bible’s verses as answers. And it’s right to the point. I remembered all of the things that have happened in my life, like when I lost my job, my business, when I lost a daughter [to leukemia]. I remembered all of those things. 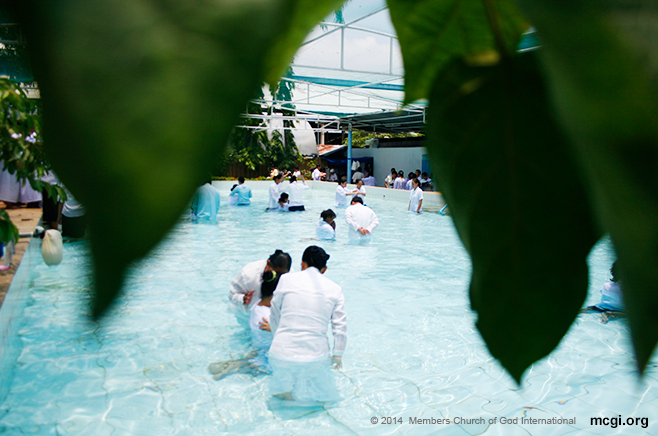 I hope that after baptism, the heavy problems that I faced would be changed. But I felt somewhat relieved actually, with His help. I hope that he won’t yet come back home to the Philippines. I also hope that the next president will not be afraid of the Iglesia ni Cristo, so that Bro. Eli can come home. May God will for the next president to be bold and can resist the whims of the Iglesia ni Cristo that Bro. Eli may come home and personally see the new generation of members of the Church of God here. But it’s okay that he’s there also, because we are able to hear him. Of course, the downside is he’s sad because he misses his relatives here, his nieces and nephews, his grandchildren, his friends. Of course he misses them, and it’s because of this Iglesia ni Cristo. They’re very angry at him so he’s really in a difficult situation, and it’s better that he remains there for the time being. Let’s just wait for a president who is fair, who will not side with them that Bro. Eli may return home.